The time is nearly here and the future for Amiga is also changing a lot very soon. With the arrival of the Vampire V2 cards from Apollo Team which is covered by Amitopia. The future for Amigan’s is brighter than ever and Now! 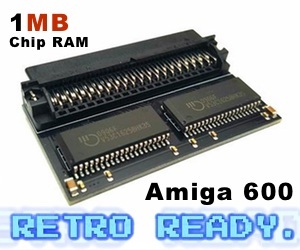 All 68080 accelerated equipped classic Amiga home computers will shine when Gold 3 is out. With the news item released on Apollo Core. Amitopia Amiga Magazine wanted to include the Amiga community in this news item, because this is quite huge News. So, I got some questions sent to Amitopia Mailbox from different users. WinUAE already got a 8MB Chip RAM feature. But now this limit is removed for real Amiga 500, Amiga 600, Amiga 1000 or even Amiga 2000 will have this feature too. With SAGA enabled you can use upto 128MB Chip RAM if thats needed. So, this is excellent news for the Vampire V4 standalone motherboard that will have this feature when released. Great work! 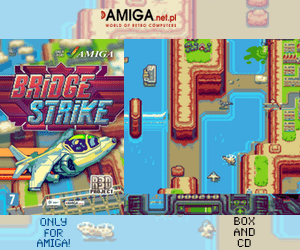 Gunnar: To be honest I very much like the very first Amiga games. My all time favourites are Menace, Hybris. On AGA I like Bubble and Squeak (see video below) a lot. I like the Music and the cute characters. The plan is to release the first public SAGA/AGA Cores this summer. So, its not long time until this is a reality. There are tons of videos demonstrating the features already. So, do watch AmitenTV for the latest Vampire 68080 FPGA Updates.